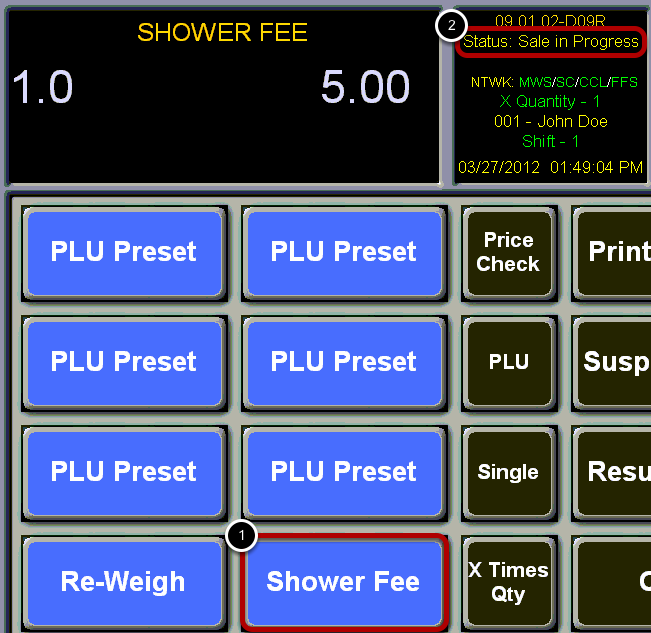 TravStar1 Point Of Sale SystemRegister Manual Basic Register TransactionsHow Do I Sell an Item that Is Assigned to a Button on the Screen? How Do I Sell an Item that Is Assigned to a Button on the Screen? This lesson will teach you how to ring an item that is assigned to a button. On your register screen, locate the button associated with the item. (1) Touch the button to ring the item. 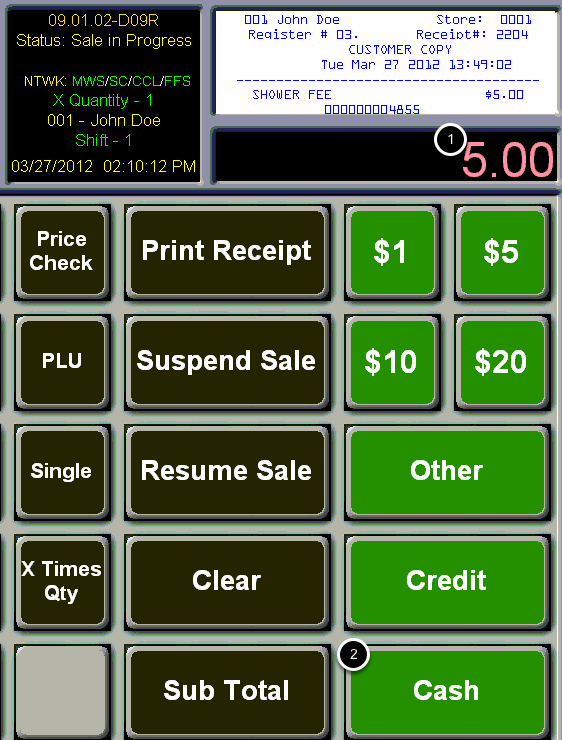 (2) Notice the Register Status has changed from Idle to Sale in Progress. -How Do I Process A Transaction If The Customer Is Paying With A Credit Card? Prev: How Do I Sell an Item That Will Not Scan? Next: How Do I Ring Multiples of an Item without Scanning It Multiple Times?